Not many jobs are as vital as fighting fires. Or as super exciting! We’d be in big trouble without brave firefighters. But try telling that to nasty Jack Frost! Fire crews have their own lucky fairy: Ariana. She makes sure firefighters everywhere do a great job keeping people safe. But when Jack Frost steals her magical object, it all starts to go wrong. Can Rachel and Kirsty help their fairy friend – before a major blaze breaks out? 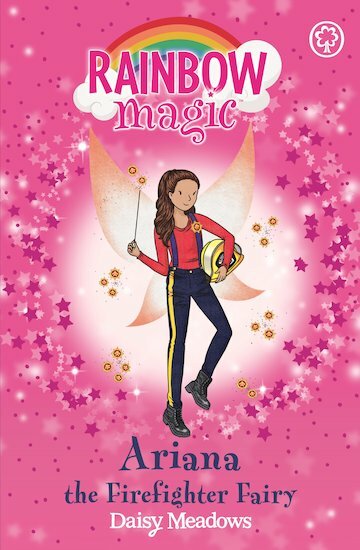 adored it About a fairy called Ariana who has a magic helmet to help people and the firefighters to be brave. So Kirsty and Rachel help her get it back from Jack Frost and the goblins.